Mr. Johns, in his studio, turned a painting-in-progress away from the camera. 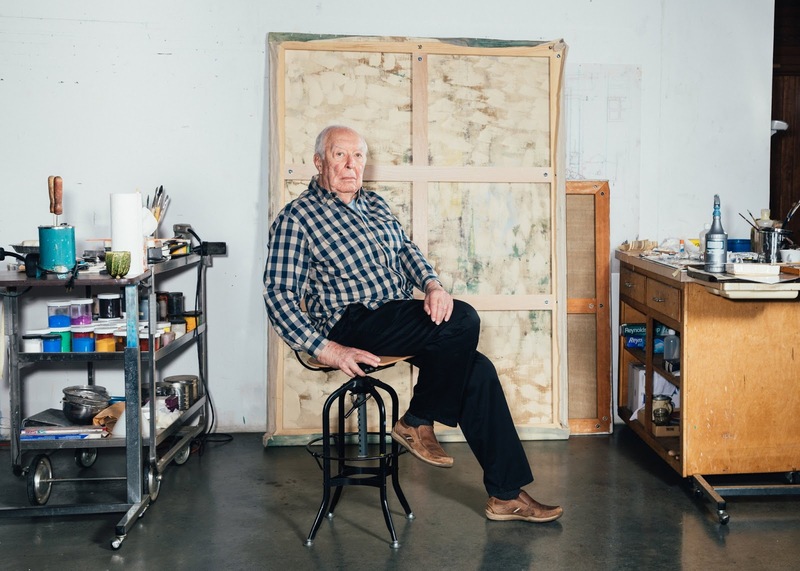 "LOS ANGELES — Not long ago, Jasper Johns, who is now 87 and widely regarded as America’s foremost living artist, was reminiscing about his childhood in small-town South Carolina. One day when he was in the second grade, a classmate named Lottie Lou Oswald misbehaved and was summoned to the front of the room. As the teacher reached for a wooden ruler and prepared to paddle her, Lottie Lou grabbed the ruler from the teacher’s hand and broke it in half. Her classmates were stunned. 'It was absolutely wonderful,' Mr. Johns told me, appearing to relish the memory of the girl’s defiance. A ruler, an instrument of the measured life, had become an accessory to rebellion. 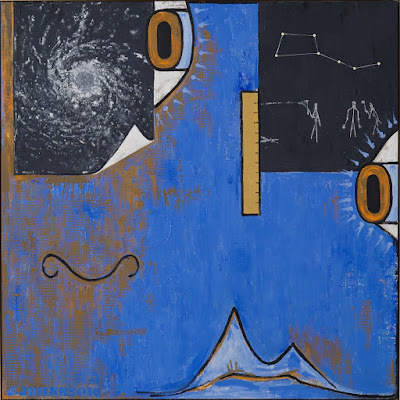 I thought of the anecdote the other day in Los Angeles, at the Broad museum’s beautiful retrospective, 'Jasper Johns: Something Resembling Truth.' Coincidentally or not, several of the paintings in the show happen to have rulers affixed to their surfaces. It would be foolish, of course, to view Mr. Johns’s story about the brazen schoolgirl and the broken ruler as the source for those paintings. But is it fair to describe the anecdote as a haunting, an experience that lodged deeply in his brain while a thousand others were promptly forgotten? 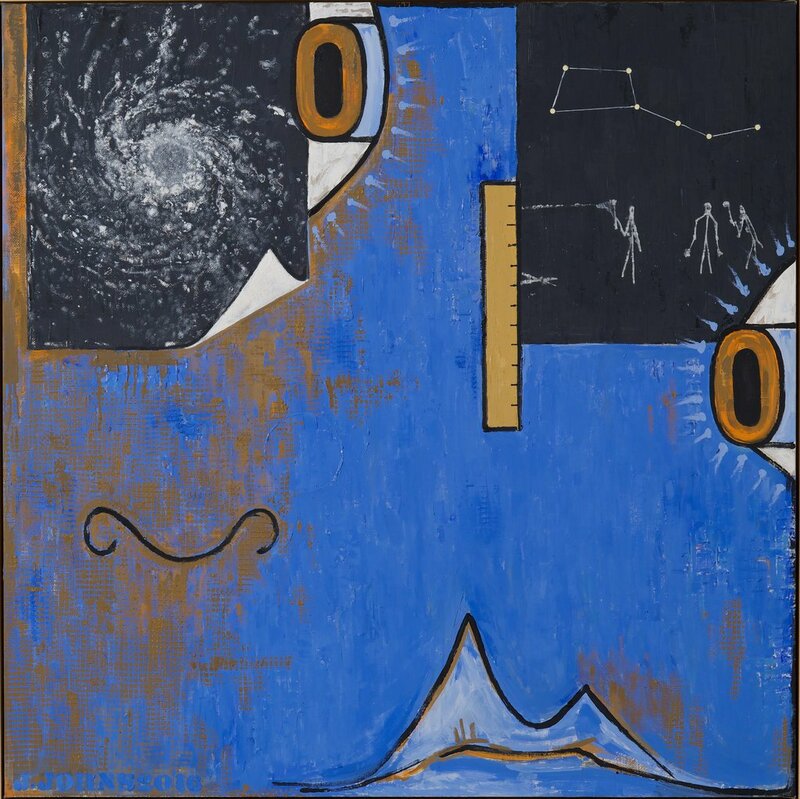 ..."
“Untitled” (2016) is the most recent painting in the show and includes one of Mr. Johns’s recurring images of a ruler.